Whether you are a parent looking to develop your child’s life-long personal skills or an adult looking to defend yourself and get in shape we have you covered! Come on in and take a deeper look into the programs that we offer. We are sure that we have the answer here at META Martial Arts! Dan started training in Kenpo Karate on June 21, 1985 at the age of nine years old. On February 25, 1989 Dan earned his first degree black belt and became an assistant instructor. On December 14, 1990 Dan earned the rank of second degree black and was the youngest instructor in the history of the studio to be named “Instructor of the Year” for his excellence in teaching children. He received this award annually from 1991-1994 until his instructor told him he would not be awarded it again because it was unfair to the rest of the instructors in the studio. On March 1, 1994 Dan became the head instructor/manager of the studio where he started his training nine years earlier. During this time Dan learned how to run a successful martial arts studio through many hours of teaching all ages while managing the behind the scenes responsibilities of a martial arts studio. 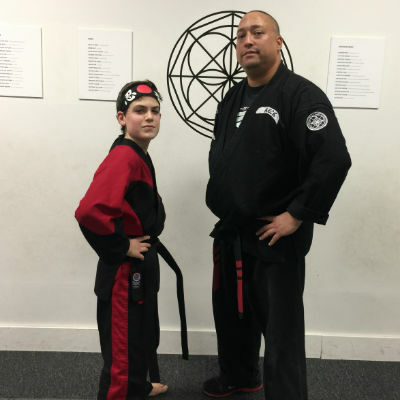 In 2000 Dan was contracted to open a new karate studio and in the eighteen months that he spent there he was pivotal in the growth from an upstart business to one of the most popular and successful martial arts studios on the Main Line. All of those years of training kids paid off when the Kids of META competed in the 2013 Kenpo Invitational Tournament where they competed and won many of their divisions on their way to winning the overall team championship trophy. It was a proud day for all here at META. 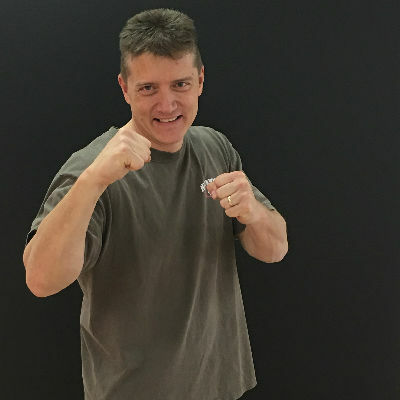 While many instructors grow complacent in the martial arts, Dan has expanded his martial arts knowledge by traveling throughout the United States, Canada, Barbados, Chile, England, Germany, France. and the Philippines, sharing and seeking knowledge from some of the best martial artists in the world. 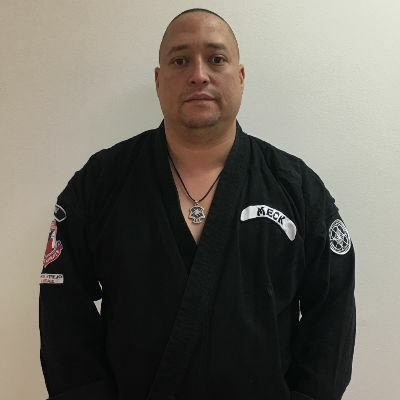 Brian Sahl has been training in Kenpo Karate for over 28 years and is a 6th degree black belt under Grandmaster Frank Trejo. 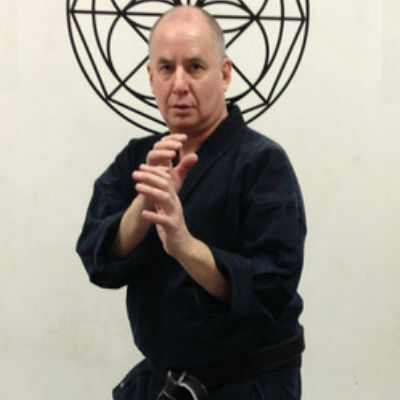 Brian has been teaching martial arts since the early nineties, and is the former owner of his own karate studio. Brian’s skills in the arts have allowed him to share his knowledge at national and international seminars. Brian has taught throughout the United States, Canada and Europe. Don received his B.A. in psychology in 1976 from Stony Brook University, his M.A. in psychology in 1978 from Bryn Mawr College, and his Ph.D. in psychology from Bryn Mawr College in 1981. He was a postdoctoral fellow with the New York State Psychiatric Institute and Columbia University’s Department of Psychiatry in New York City from 1981 to 1985, at which time he joined the faculty of Saint Joseph’s University. He was awarded tenure in 1990, promoted to the rank of Associate Professor in 1991, and to the rank of Professor in 2000. He has served as chair of the Saint Joseph’s Department of Psychology since 2004. Don began his study of American Kenpo Karate in 1998 at the tender age of 43. He advanced to the rank of first-degree black belt in 2008, second-degree black belt in 2010, and to third-degree black belt in 2013. He is currently training for his fourth-degree black belt. Stephanie was born and raised in South Florida and began her training in martial arts in 1990 at the age of nine. In 1993, her parents signed her up at a Kenpo studio and she instantly fell in love with the art. Stephanie knew she’d be involved with the Kenpo for a life time. She absorbed the full adult curriculum and earned her junior black belt only two and a half years later. Another two and a half years later, she was the youngest student in her studio to be promoted to 1st degree black belt at the age of 16. Stephanie competed in many tournaments and was successful in both the forms and sparring divisions. In 2008, Stephanie uprooted her life and relocated to Pennsylvania. Thus began began a new venture of running a Kenpo studio for six years. This move also opened the door to many new training opportunities. 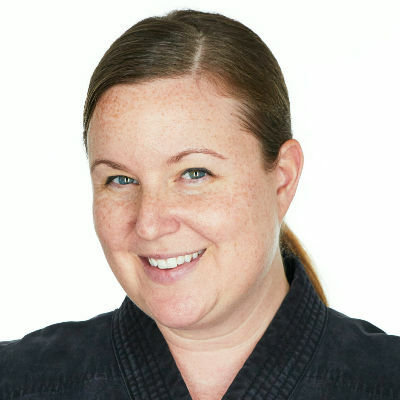 Stephanie was promoted to 3rd degree black belt under Brian Price in 2012, and trained with him until the end of 2014 when he retired his studio. In March 2015, Stephanie attended her first International Brotherhood of American Kenpo seminar. She had a five minute conversation with Dan Meck during one of the seminars and decided that’s where she needed to train next. 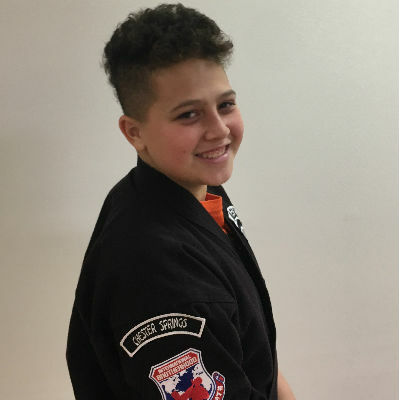 After attending her first black belt class at META, she knew she found a new Kenpo home. 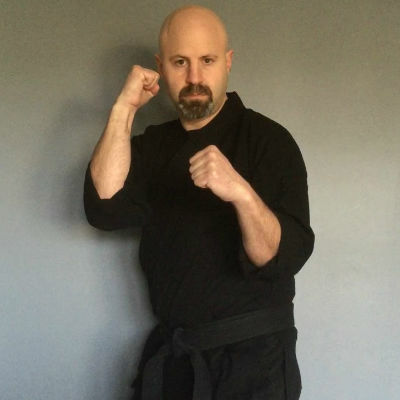 Steve began training with Dan Meck in 1999 and earned his black belt in Kenpo in 2014. He has been teaching at META Martial Arts since 2015. He also trained in the Filipino art of Pekiti-Tirsia Kali and has been influenced by Muay Thai and traditional boxing. Professionally, Steve is an Assistant Professor at Drexel University and an Emergency Medical Technician. In his spare time, he trains beginning shooters as a certified firearms instructor. Jenna Scalzi started her karate career at the age of 4 1/2 in 2008 under 7th degree senior black belt, Dan Meck. She started at the beginning when Dan first opened his studio. At age 6 as a blue belt, she moved up to the kids class. She then started competing in tournaments, with her first one being where she traveled to Massachusetts. 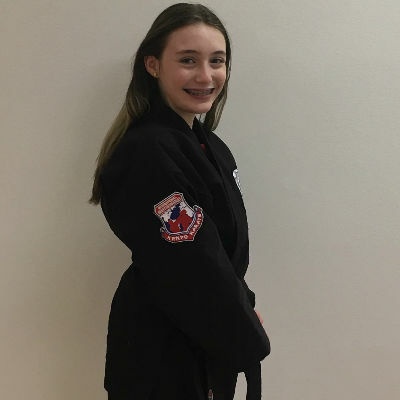 After years of preparation and hard work, at the age of 10 in 2014, Jenna received her first degree junior black belt. Since then she tested for 2nd, spot promoted to 3rd, and earned her Assistant Instructor patch. She now helps out teaching the Cubs and kids and takes the adult class at age 13. Jenna has also trained with Grandmaster 10th degree senior black belt Frank Trejo, who is Dan’s instructor. Jenna loves teaching and taking karate and will be happy to answer any questions you have about training at Meta Martial Arts. Ryan is a black belt at META martial arts. He has trained there since October of 2013. He has appeared in countless tournaments ever since April of 2014. He has won many medals in tournaments, in both sparring and forms. He has been an instructor since Spring of 2016. He attends karate very often and is frequently there to instruct classes. He is very friendly to his students and his peers and has a hard working attitude. One of his main goals in karate is to help younger kids build up strength and confidence. One of the things he likes about Kenpo is the friendly and helpful community built around it. He also likes the workout and how it builds confidence. Other hobbies he partakes in are Lacrosse and competitive swimming. He has three older brothers, two in high school and one in college. He is proud of his good grades in school and puts in a lot of effort to get work done. After 23 years in the arts and running two different studios, Dan Meck decided to open his own studio in 2008. Since then META has become the most successful foray into the martial arts that he has experienced. Although we are not a “tournament school,” the META team has been the most decorated tournament team that Dan has ever taught; winning tournaments both close to home and out of state. It was during his tenure that Dan co-founded the International Brotherhood of Kenpo Karate. This Kenpo organization has garnered such interest that Dan has found himself traveling all over the world teaching his art to students in North America, South America, Europe and Asia. In 2017 we moved to our current location at 327 Gordon Dr. in Exton, PA. This upgraded location is a homier studio intended to deliver the same quality instruction with a more relaxed environment for our wonderful META family. View available memberships and pick the right one for you!